Succeeding in fast-paced, competitive markets requires a strategy that focuses on people’s performance. 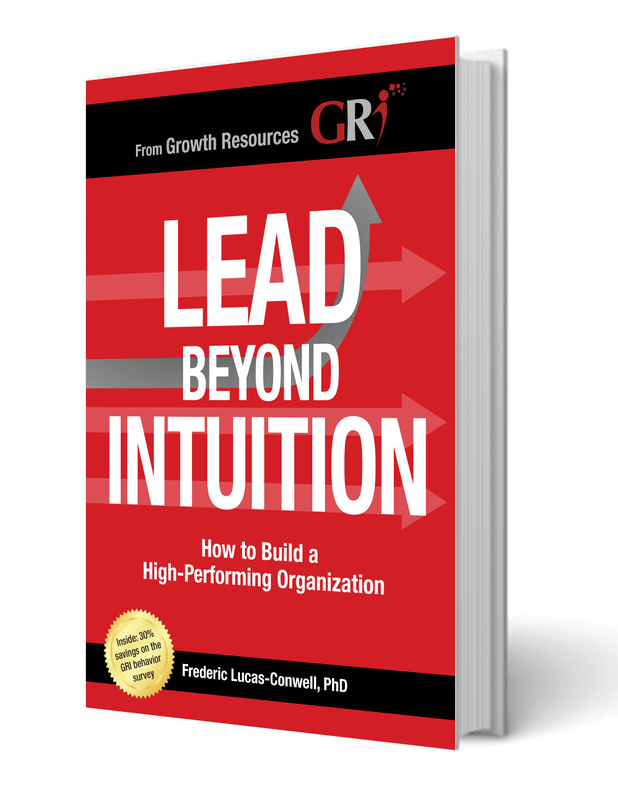 The GRI is instrumental in getting to the core of how people perform individually and as a group, for growing their success in all jobs in your organization, and improving its overall performance to radical new levels, every single day. A winning culture is one that can attract, recruit, and engage the best people your organization needs while expecting that they continually adapt, improve, and grow. It’s a culture that invites diversity and inclusion. This cannot happen by chance and with partial information. You need people-data that you can trust; data that is objective and can remove the biases we are all subject to. That’s hard work—because it's the most fundamental data on which our beliefs about people and our organization are built. In a performance-driven culture, the GRI brings you the missing information that leads to better decisions and communication with people that will immediately reflect in your organization’s success. With the GRI information in hand, everyone can reach their goals more efficiently and ultimately, the goals for your organization. People want knowledge on how they can grow and perform in the job that is nuanced, practical, and memorable. People also look to be understood by their organization in order to contribute to its vision and goals. People are looking for leaders and companies that can provide meaningful work and with it, a sense of purpose. 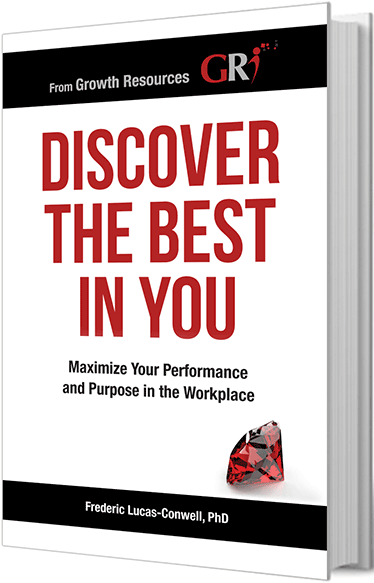 That sense of purpose comes about with a nuanced understanding of how they can better engage at work. It’s harder than ever to understand what makes us and other people tick. Mastering these important aspects at their core brings incredible value to everyone. Every job has a unique set of expectations and characteristics including behavior. To what extent those characteristics match the employee, and what adjustments that may require from them, need to be identified. An employee needs to work as an effective team member as soon as they join a team. This requires valuing the differences of team members, building trusted relationships at higher speed, and quickly removing unnecessary friction. In the “future of work” people are required to be increasingly accountable for their own contribution. People all look for direction on how to best balance their life and work, and for recognition from their work environment too. Start your journey today toward building a winning workplace using the GRI. Learn about our premium enterprise solution. Invite your executives to discover and experience GRI’s power, while learning about each other, their teams, and the entire organization with people-data in hand that’s accurate. Engage in strategic discussions to improve your performance-driven culture for more effective hiring, management, and development of your organization with the GRI. Attend the GRI seminar and start working on your leadership, team, and organization during this three-day transformational experience. The GRI seminar provides a powerful combination of training and consulting, led by a GRI consulting associate. Invite your executives for an introduction session to experience the GRI survey, get their results and share them. Participants start to discover the power of the GRI while better understanding how to work together and resolve potential conflicts. What is your leadership style - really? How do you continue to leverage your talents and strengths as a leader and to perform at peak level? Who else do you need to bring into your team and how? Get a more accurate sense of how you can continue to grow. - People are all different and have different styles and motivations. - At all levels, we need different people for different jobs. How you hire, develop, and motivate your people makes all the difference in your workplace culture. The GRI helps increase your confidence and your team’s confidence in hiring decisions by offering objective data and more clarity around how people perform from the very beginning. Referring to a candidate’s GRI profiles helps to tailor your approach and attitude to the candidates in order to engage them quickly and genuinely during the interviews. Making wise and effective decisions about a team starts as early as the recruiting process, then the onboarding time can be used to learn about team members’ differences and help the team work together more efficiently from the start. At its most basic, the GRI provides managers with unique information, methods, and tools for understanding people more accurately so that they can recruit and manage them more efficiently. When you embrace the need for creative thinkers and recognize that there are many different ways to be creative, the challenge will not be a lack of creative ideas, but a question of which ones to take to the next step in the innovation process. Radical innovation involves more than coming up with brilliant ideas, but another form of energy to take them to the market that all rely on characteristics measured by the GRI. To attract, nurture, and grow talent for the organization, we must first understand people more accurately and bring insight into bringing out the best in them. Connect with us to discuss the best options for building a thriving culture.